Impressive Dutch design, engineering and finish have earned this Cyrus (Vitters yard in Turkey) 33m semi-displacement yacht the Superyacht Award for best motor yacht under 40m. 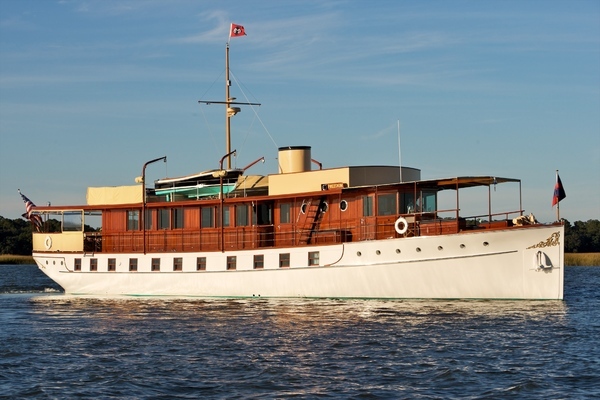 The design and styling has been delivered by Rene van der Velden while naval architecture was provided by Piet van Oossanen. Together with the Vitters team and numerous specialists they have created a yacht with very good performance and excellent ocean-going characteristics. The yacht is comfortable under all circumstances. Much attention to items such as noise and vibration prevention, ventilation and air conditioning has contributed to the further comfort on board. The interior has a very harmonious design with cross-veneer Anigré panelling and Wengé floors.She has five cabins, all of outstanding comfort and luxury. The owner's cabin is on the main deck with great views. The full-beam VIP cabin and three more guest cabins are situated on the lower deck. The crew have separate quarters with a crew mess and three cabins. The flybridge is the best we have ever seen in this size with plenty seating and sunbathing space, biminis which can be deployed in a flexible manner, and a Jacuzzi. Very good access from the flybridge to aft deck which offers a large seating area but also from flybridge to pilothouse. 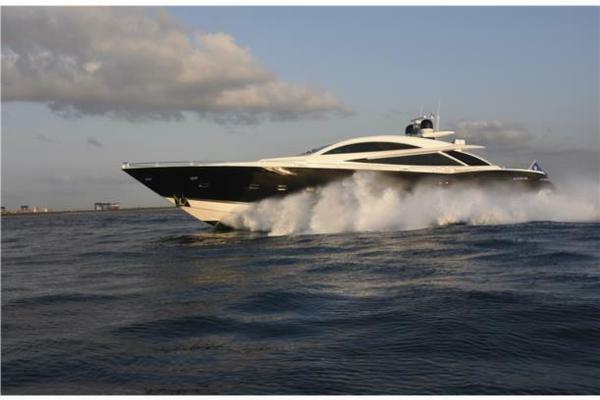 The master suite is forward on the main deck, aft of which are the galley and the open plan dining and lounge salon, as well as the open aft deck with table and seating. Forward is a full beam VIP cabin, another double and 2 twin guest cabins, all ensuite. Crew quarters are amidships, with a mess room, captain's cabin and 2 twins. The engine room and tender garage are aft. Changing of the entertainment system in salon, master cabin and aft deck with HD system. Galley cupboards changed with Anigre wood. Floor changed with black marble. Additional oven. All the tables in salon and outside reveneered and revarnished. All outside cushions made new. New watertight foam and new leather. Fix hard bimini installed. Electrical moving tent on it. Another TV will be installed on the ceiling with TV list. New varnishing of the outside wood. Additional 4 underwater lights installed. Two on stbd side and two on port side. Name of the boat on the sides and on the back door changed with new style. Lighting installed. Jacuzzi heater changed with bigger one. Some cracks on the furniture fixed. New varnished installed. New varnishing of the salon furniture. Fender protection changed with new ones. Zero speed stabiliser filters and level sensor changed with new ones. System maintenanced and tested. Generator fuel pump and injectors changed with new ones. Painting of the damaged areas on the hull. Bow protection from stainless steel added until where the bow thruster is. Polishing of the anchor pocket. Hatch lockers changed with new system which is simple and easy opening. Fender hooks changed with new leather. St. stl added on the leather in order not to have damage on leather any more. Sea chest filters changed with new ones. Complete cross over pipe taken out, cleaned and painted with anti fouling. Power pack of the garage doors changed with new ones. Auto pilot changed with new display. Wind sensor changed with new ones. Navigation computer sent to Holland for reinstallation of the software. Service done for all the equipment in the galley. Panthograft doors on the back side repaired.